Singapore maintained its global top spot in the Innovation Input Sub-Index and gained three positions in the Innovation Output Sub-Index. Singapore was ranked at the 1st position in Asia and 7th worldwide1 in the 2017 edition of the Global Innovation Index (GII) released today by INSEAD, Cornell University, and the World Intellectual Property Organization (WIPO). The overall GII score is the simple average of Input and Output Sub-Index scores. The Innovation Input Sub- Index is intended to capture five elements of that enable innovative activities: (1) Institutions, (2) Human capital and research, (3) Infrastructure, (4) Market sophistication, and (5) Business sophistication. The Innovation Output Sub-Index provides information about outputs that are the results of innovative activities within the economy. There are two output pillars: (6) Knowledge and technology and (7) Creative. 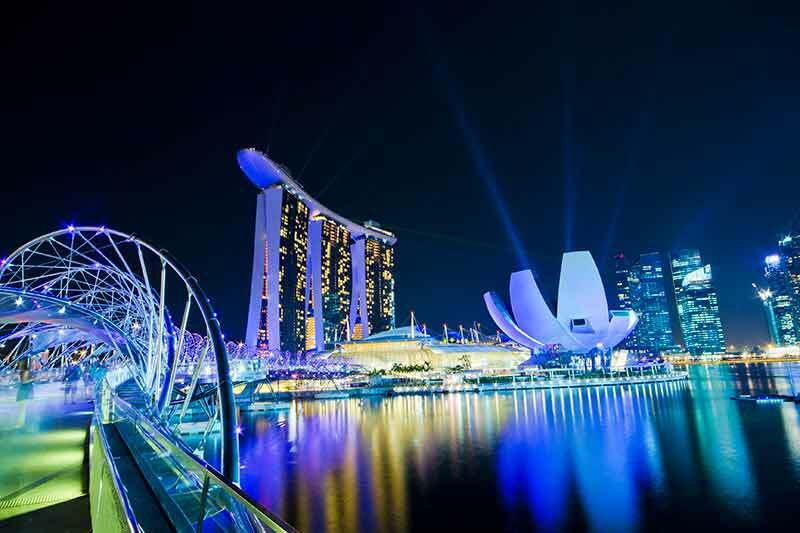 Singapore maintained its global top spot in the Innovation Input Sub-Index and gained three positions in the Innovation Output Sub-Index to rise to the 17th position. Singapore ranks in the top 5 in all input pillars and 1st in Institutions. Switzerland, Sweden, the Netherlands, the USA and the UK are the world’s most-innovative countries according to GII 2017. Switzerland occupied the 1st rank for the seventh consecutive year. High-income economies took 24 of the top 25 spots, with China as the only exception at 22. In 2016, China became the first-ever middle income economy to break into the top 25. GII 2017 notes a continued gap in innovative capacity between developed and developing nations and lackluster growth rates for research and development (R&D) activities, both at the government and corporate levels. However, 17 middle and lower-income economies perform significantly better on innovation than their current level of development would predict: Nine of these countries are in the Sub-Saharan Africa region, including Kenya and Rwanda. Three economies come from Eastern Europe. India, 60th globally, is the top-ranked economy in Central and Southern Asia and has now outperformed on innovation relative to its GDP per capita for seven years in a row. The country has shown improvement in most areas, including in infrastructure, business sophistication, knowledge and technology and creative outputs. India ranks 14th overall in the presence of global R&D companies, considerably better than comparable groups of lower- and upper-middle-income economies. India also outperforms most other middle-income economies in science and engineering graduates, gross capital formation, GERD (Gross domestic expenditure on R&D) performed by business, research talent, on the input side; quality of scientific publications, growth rate of GDP per worker, high-tech and ICT services exports, creative goods exports, high-tech manufactures, and IP receipts on the output side. Within ASEAN, Singapore is the top performer in majority of the indicators, with a few notable exceptions. Philippines (global rank 73) leads in ICT services exports, while Vietnam (global rank 47) leads in expenditure on education, and Thailand (global rank 51) topped trademarks by origin. Thailand’s strengths include creative goods exports and gross domestic expenditure on R&D (GERD) financed by business, where it places 5th and 6th globally. The report states that some of the ASEAN economies—in particular, Indonesia (global rank 87), the Philippines, Thailand, and Viet Nam—are now considered to be ‘new Asian Tigers’. These economies participate more and more in a number of regional and global value chains, including some in relatively high-tech sectors. In addition to education expenditure, Vietnam is also performing well in ICT use, gross capital formation, and FDI (foreign direct investment) net inflows. But it has low scores in tertiary enrolment, state of cluster development, university/industry research collaboration, and knowledge-intensive employment. During 2017, the Vietnamese government assigned responsibilities through a resolution to ministries, agencies, and local governments to undertake actions to improve Vietnam’s performance, and the Ministry of Science and Technology (MOST) was tasked with coordinating these efforts. Malaysia (global rank 37) ranks second in the ASEAN group in expenditure on education, state of cluster development, university/industry research collaboration, and ICT use. Malaysia has the second highest scores in patents by origin, scientific and technical articles, and ICT services exports. But it has low scores in PISA (Programme for International Student Assessment) assessment in reading, maths, and science; tertiary enrolment; and knowledge-intensive Employment. 1Singapore’s global rank in 2014, 2015 and 2016 was 7th,7th and 6th respectively.